In the past three years , Steel mogul Ahmed Abu-Hashima deserved the title “Egypt’s Robert Murdoch” as by far he was the king of a huge empire with over 16 companies working in all types of media in Egypt including a TV network in his early 40s to complete the saga and his mystery of fast speed rise. The close to the regime businessman did not give any indication that he would leave that media realm in Egypt anytime soon but surprisingly he did it this week in the same way he entered it: suddenly. In a very short statement that including too many surprises the announcement came late Monday night. “Eagle Capital for financial investment” has acquired the shares of businessman Ahmed Abu Hashima. The CEO of Eagle Capital Dalia Khorshid stated that the acquisition is the first business deal for the company. She also said that the acquisition reflected her company’s interest in that strategic sector (media) that affects the citizen on a daily basis. The short statement added the company appointed former head of Egyptian Radio and Television Union “ERTU” Osama El-Sheikh as the new CEO of Egyptian Media group replacing Abu-Hashima who resigned from the post. The statement did not include any mention of how much Eagle Capital for investments bought the shares of Abu Hashima. The young king of media left the realm and there was a new Queen with a veteran Sharif in town, hail the Queen. Disclaimer: Now a big portion of that long post I have been working on for months in an attempt to decode the Egyptian Media map currently in an attempt to understand who is running the show and why. 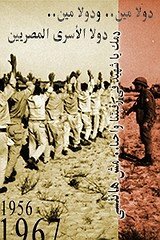 Spoilers: If you are following the Egyptian internal affairs very well, you already guessed. There has been no official website or Facebook page available online for Eagle Capital for Financial Investment whose headquarters are in Cairo’s Fifth Settlement. 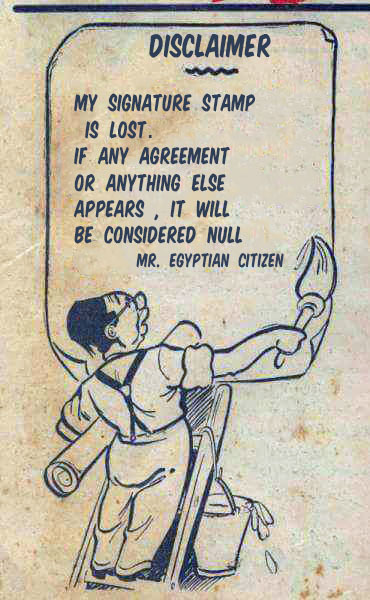 It is not registered in the Egyptian stock market.There is nothing in the Egyptian news archives about it. According to Misr Al-Arabia website, Eagle Capital for Financial Investment was founded in 2016. Now, we do not know who REALLY owns or founded this company. News reports speak about two potential buyers: A group of Gulf investors owns 40% of Eagle Capital and the Egyptian General Intelligence service. Misr Al-Arabia and Mada Misr quoted veteran Egyptian veteran publisher Hisham Kassem saying that the Egyptian General intelligence service did not only stand behind Eagle Capital but stands behind Egyptian Media group as well. The veteran publisher even says that the acquisition of Egyptian Media group was only a way to change the management only. Mada Misr supports that claim according to its sources as you can see. If you remember, Egyptian General Intelligence is allegedly associated with Private contractor Falcon Group which acquired Al-Hayat Network in September for LE 1.4 billion. We do not know for sure how much Eagle paid to Abu-Hashima as for instance, Masrawy claims according to its sources that the company acquired 60% of his shares in the company for LE 600 Million as the businessman is still keeping his shares in “Presentation agency”. On the other hand, Misr Al-Arabia claims according to its unnamed sources that Eagle Capital would pay LE 6.8 billion for the deal. Interestingly, Lebanese Al-Akhbar Newspaper spoke about the acquisition a month earlier. Anyhow what can be sure is the available data in front of us officially. 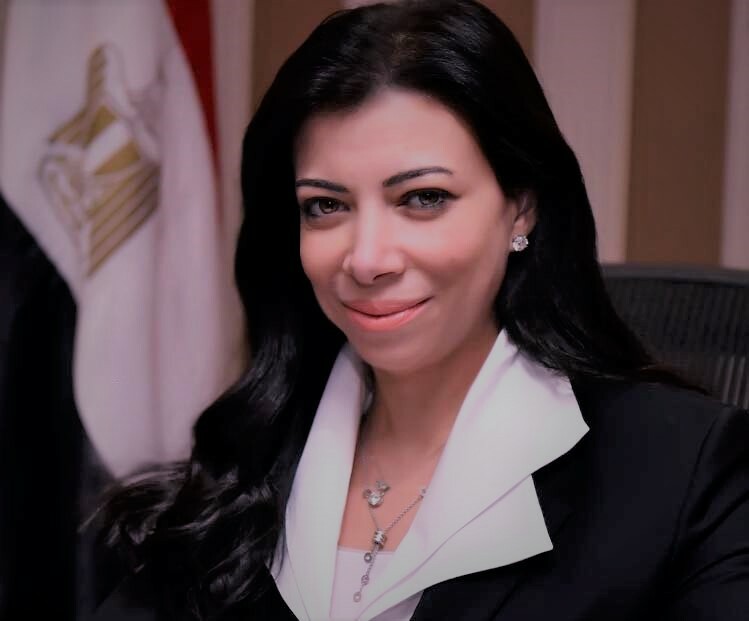 The CEO of Eagle Capital for financial investments is Dalia Khorshid, the former first woman minister of investment in Egypt “March 2016- February 2017”. The 1993 American University in Cairo alumna disappeared from the media in March 2017 after her marriage from current Governor of Central Bank of Egypt Tarek Amar. After becoming a material for gossip for couple of weeks, she truly disappeared. As someone who joined Orascom Construction Industries “OCI” in 2005 till becoming its vice-president and group treasurer, some thought that the Sawirises were behind the Eagle Capital. 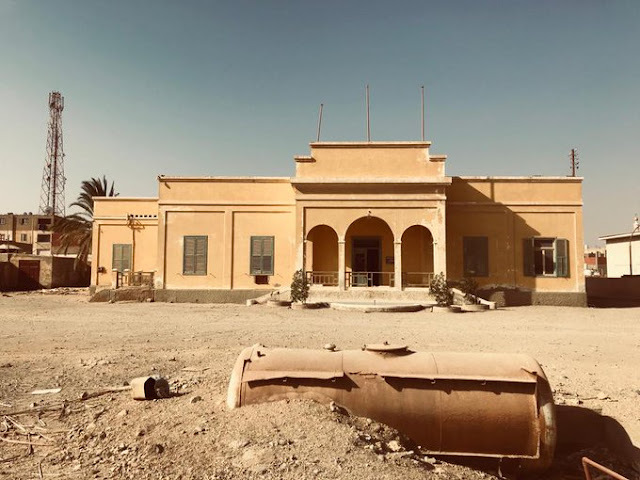 The only other connection between Sawirises and the Egyptian Media group was the fact that Abu Hashima acquired Naguib Sawiris’ ONTV network in May 2016. Either way, the Sawirises do not stand behind the current deal. Moving to Osama El-Sheikh, Egypt’s veteran TV executive. The 1952-born El-Sheikh played a very important in founding and operating a group of big TV networks not only in Egypt according to that C.V sent to the news websites in the past 48 hours. The 1975-Cairo University graduate joined the ERTU where he worked there for decades. In 1993, He left the ERTU and helping in founding and managing Saudi-owned ART satellite network in its prime. Since then, he began his long career with Privately owned-Arab TV networks in countries like Kuwait. In 2001, he returned back to Egypt where he helped in founding Dream TV. In 2007, he returned to ERTU. In 2009 he became the head of ERTU until February 2011 where he resigned following the January revolution. He was arrested in the same month along with ex-minister of information Anas El-FIky for charges related to corruption and squandering public funds. In January 2013, he was released on bail. In the same year, he headed shortly Dream TV network before resigning months later. In July 2016, he headed Al-Assama TV network before leaving it three months later. In September 2014, the corruption charges were dropped against the famous TV executive. In November, Osama El-Sheikh traveled to Saudi Arabia where he was appointed as a consultant to develop and modernize the Saudi State-TV network in the new MBS era. Only on Monday, he returned back to Cairo after “receiving orders from Egypt“ to become the CEO of Egyptian Media according to his own statements to El-Shorouk Newspaper on Tuesday. “After receiving orders from Egypt” gives you the impression that he is speaking about some sort of patriotic mission. All the companies under the Egyptian Media Group umbrella including the management were surprised that they got new bosses. Most of them even have not updated their management information on their official websites. The Egyptian Media empire started in 2013. In January 2013, Ahmed Abu-Hashima and Alaa El-Khaky “the co-owner of Al-Nahar TV network” acquired the shares of businessman Soliman Amar and Mohamed Al-Amin “owner of CBC network” in Youm 7 news website and newspaper. During then Abu-Hashima was accused of being too close to the Muslim Brotherhood especially his business partners were Qataris. His move was regarded by some as an attempt to “Brotherhood-ize” the media. It was said even that he divorced his wife Lebanese bombshell and singer Haifa Wahhabi because she did not “fit” the conservative image of the brotherhood. Officially and according to documents, Abu-Hashima founded Egyptian Media group in June 2013. In September 2013, Abu Hashima acquired 60% of the shares in Al-Mehwar TV network and became a partner to its founder Hassan Ratab “35% of the shares” and ERTU “5%”. A month later, the deal failed and he withdrew from Al-Mehwar TV. Ahmed Abu Hashima "Official Abu Hashima Facebook page"
In May 2016, the 1975-born businessman acquired ONTV Network from its founder and owner billionaire Naguib Sawiris. In less than a month, the new management of ONTV terminated the contract of famous Pro-revolutionary political TV host Liliane Daoud who was deported from Egypt on the same day to her country Lebanon in the most humiliating way ever. Pro-revolution TV hosts and correspondents who even express their opinions on social media only were not welcomed anymore in the channel. Since then the once critical-liberal Pro-revolutionary TV network is turned in to a 100% pro-regime entertainment/football TV network. ONTV is a perfect example of what the regime perceives as perfect media now. In June 2016, Abu-Hashima acquired 50% of the share in Misr for film production. In the same month, he acquired 51% of the shares in Presentation Sports advertising agency, which currently owns the rights of broadcasting and sponsoring the Egyptian Premier League aka Presentation Premier. Trivia: The multi-millionaire from Port Said was once a footballer in Egypt’s Olympic football team. His son Omar is a member of Egypt’s Under-20 national team. Abu-Hashima is also a close friend of Cristiano Ronaldo and his family. In July 2016, Egyptian Media acquired DotMisr news website in a very big drama that puzzles me up till now. At first, it was announced that Abu Hashima acquired the website that was originally founded by Emirati money then his lawyer denied it as tens of journalists in the website were fired suddenly without having any of their financial rights. The intelligence officer turned-into/and Media mogul Yasser Salim who used to own DotMisr stated in the same month that the real owner of the site then was “Egyptian Media group” since the beginning of July. Then it became a fact that Egyptian Media owned DotMisr. FYI, the name of Yasser Selim will meet a lot whenever you do a thorough research about media or elections after July 2013. He is a friend of Abu-Hashima and he owns some shares in Youm7 yet he is rarely mentioned as a co-owner. His company “Black and White” in partnership with Sawiris’ Promomedia have been the advertising agencies of Youm 7 since 2014 but it is also rarely mentioned as Promomedia is more famous. In the same month our man from Port Said, Abu Hashima who started his career in steel business in 2002 acquired POD agency for PR. In September 2016, Egyptian Media group and DMedia which owns DMC “Got a long post about it lost in a broken hard drive ” announced their merger to “form a strong media body that can restore Egypt’s leading media role whether regionally or internationally”. That merger failed and did not complete its mission quietly. In the same month, he acquired what was once weekly opposition newspaper Sawt Al-Oma and its sister tabloid Ain from their owner-publisher Ahmed Fahmy for allegedly LE 12 million. 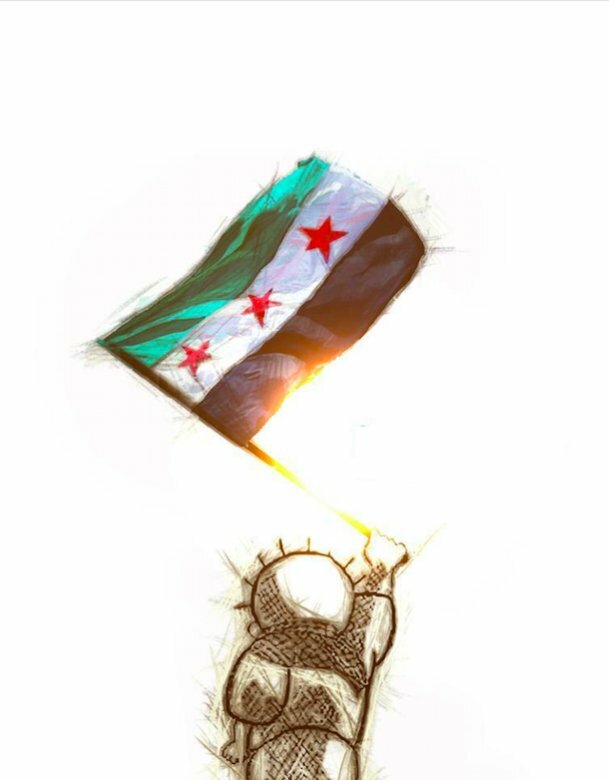 Sawt Al-Oma newspaper is currently a Pro-regime newspaper in what of the ironies in the country. In November 2016, Egyptian Media group acquired 50% of the shares in Synergy advertising agency and production company. Yasser Salim’s Black and White agency had a partnership with Synergy since May 2016 according to news reports. They produce films and TV series. In early 2017, Egyptian Media group acquired Egypt’s oldest and first privately-owned magazine Egypt today “ET” and its economic sister Business today from IBA Media. ET is turned in to an online English news website. You guess what happened to ET when I tell you that it is headed by Moatez Abdel Fattah. The online archives of that important magazine disappeared under the new management. How much did Abu Hashima or Egyptian Media group pay for those companies in 2016 alone? Nobody really knows. Money is not mentioned in the official statements or news releases for reasons beyond me. Is it the fear of taxation authority? God only knows. God only knows also what those acquisitions aim to or who stands behind them for real. One thing for sure, the Egyptian people do not care much for those acquisitions as they no longer trust the media as before. Now, Abu-Hashima is officially out of the media market suddenly, he is no longer its king. It is Dalia Khurshid who is currently Queen of a media Empire. This analysis and reporting is valuable in a media-free society. Here it doesn't matter, really it doesn't matter who owns, sells, acquires, or consolidates media assets. In every case, the marching orders and talking points to the media owner will come from the same telephone number. Well, well done. Again! It is amazing how the media has been "nationalized".